The Minnesota State Referee Committee (MN-SRC) has the responsibility to oversee the development of referees and assignors in Minnesota. The main source of communication of the MN-SRC with the referees, leagues and clubs is through their website www.minnesotasrc.com. 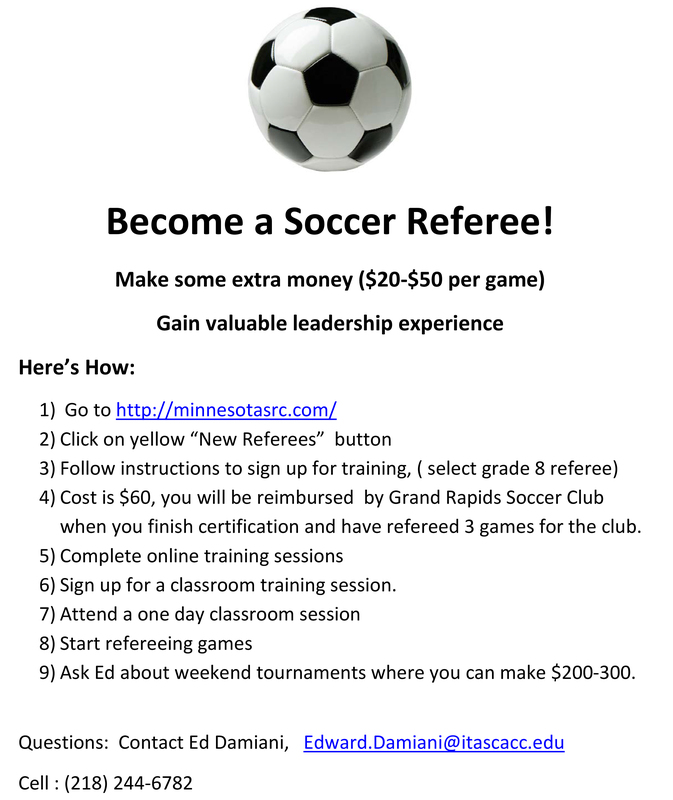 The MN-SRC would like to invite anyone who is interested in learning more about becoming a referee or referees looking for information about being recertified to visit their web site. This book is specifically intended to give USSF referees, assistant referees and fourth officials a reliable compilation of those international and national guidelines remaining in force, as modified or updated. The United States Soccer Federation adopts the procedures outlined here in order to standardize officiating techniques, signals and mechanics at all levels of play.